Recently you wrote an article in which you accuse the “Western black elite,” i.e., Black American leaders, of “the sharp rise of a strong anti-Semitic movement.” Your article titled “Black Leaders’ Vendetta Against Israel” targets the Rev. Jeremiah Wright, the Rev. Al Sharpton, the Rev. Jesse Jackson, and former Congressman Andrew Young. Your venomous criticism, however, seemed to have been reserved for two Black women, Toni Morrison and Alice Walker, both literary giants with pristine international reputations. Ms. Morrison is an American novelist, editor, professor, and Nobel and Pulitzer Prize winner; hence one of the world’s most recognized writers. Ms. Walker, also a renowned Pulitzer Prize-winning novelist, lecturer, Civil Rights advocate, former social worker and teacher, has garnered worldwide acclaim for her sterling writing acumen. Alice Walker grew up under American apartheid, and considers what is taking place in Israel and the Occupied Territories far worse than American segregation and her experiences under Jim Crow. She believes Israel is “guilty of apartheid and persecution of the Palestinian people, both inside Israel and also in the Occupied Territories,” and is therefore part of the non-violent BDS (Boycott, Divestment, Sanctions) movement calling for Israel to be ostracized economically and culturally until it changes its criminal policies toward the Palestinians. Once again members of the Zionist community have tagged Black leaders whom they fail to control or intimidate with the ugly and reprehensible label of “anti-Semite” because of their uncompromising stances in defense of truth and justice. You have branded these two women with this repulsive label because they dare to bring to the attention of the world the dehumanizing, deplorable, apartheid-like conditions the Palestinians and Ethiopians are forced to exist under in the Occupied Territories and Israel. What you fail to recognize, however, is the role that Black people and Muslims have traditionally played in the life and survival of the Jewish people over the past 4000 years. Black people, throughout ancient, classical and modern history, have consistently come to the rescue and aid of the Jewish people. According to your Torah, Africa has always served as a haven for the Hebrew prophets, including Jesus and his mother, Jeremiah, Moses, Aaron and Abraham. All emerged from Africa spiritually and monetarily enriched. Your assertion that Black people are anti-Semitic is historically and philosophically false. 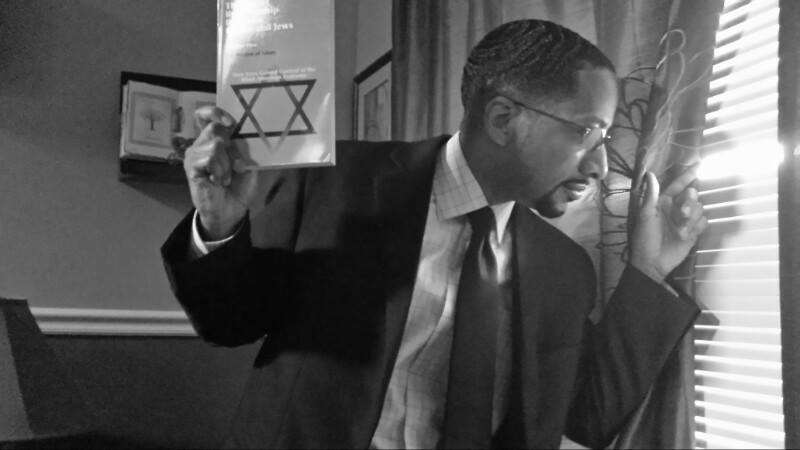 If it were not for Black people, Judaism and the Jewish people themselves would not exist. One of your own esteemed scholars, Henry Aubin, winner of the B’nai Brith Media Human Rights Award, in his book The Rescue of Jerusalem: The Alliance Between Hebrews and Africans in 701 BC, boldly writes that the black Egyptians of the 25th Dynasty saved the Jews and Judaism from being relegated to the dustbin of history by forcing the Assyrians, the first military superpower in that part of the world, from destroying Jerusalem. Aubin argues that this act of valor saved both the Jewish people and their religion from being annihilated. Ms. Walker and Ms. Morrison are as interested in the welfare of the Jews as their ancestors were—they are concerned about saving you from yourselves and the error of your ways and the destructive path Israel is on. With the emergence of Islam in the 7th Century CE and the liberation of Jerusalem from the Romans of the Byzantine Empire by the African Moors and the Arabs, the Jews of Judea welcomed the Muslims as saviors. According to Shlomo Sand, author of The Invention of the Jewish People, the seventh-century Armenian bishop Sebeos viewed the Muslims as the fulfillment of the messianic promise of the descendants of Ishmael (the Muslims) coming to the aid of the descendants of Isaac (the Jews). Again, Black people played a crucial role in the liberation of the Jews. There’s more. The Muslims’ liberation of Spain under the leadership of Tariq, a Black man and an African Moor, was welcomed by the Jews because of the persecution they had received at the hands of the barbaric Germanic Visigoths, who had ruled Spain and the Jews with an iron hand. The Black Muslims again rescued the Jews from terrorists. The Jews in Spain thereafter thrived under Islamic Moorish leadership from 711–1492 CE. Some of the greatest Jewish thinkers in history emerged from that era. The Jewish community was treated as a protectorate because of the mandate handed down by Prophet Muhammad to respect them because of their belief in monotheism. Moses and Aaron—identified by Sigmund Freud, the great Jewish psychiatrist and the father of psychoanalysis, as Africans and not Jews—represented the political and spiritual leadership of the Jewish people. They were assigned by God as their first teachers. These African Egyptians, according to Freud, raised up a group of semi-barbaric nomads and with the laws given to them by God set the Jews on the road to global dominance. Is it not disingenuous to refer to Israel as a democracy when in fact it is an ethnocracy, established for the sole purpose of serving the sectarian interests of the Jews, and grossly discriminates against one-fourth of the population that is not a member of the Ashkenazi community? Muslim and Christian Arabs, the Black Ethiopians, and the Black Hebrew Israelites are treated as second- and third-class citizens in their own country. What Ms. Morrison and Ms. Walker may be objecting to, among a variety of other issues, is the fact that the Government of Israel has launched a racist policy of stemming the birth rate of the Ethiopian population by introducing a controversial contraceptive designed to reduce the births of the Black Jews while, on the other hand, white Jews are enthusiastically encouraged to have as many children as possible. To add insult to injury, thousands of Ethiopian Jews protested and rioted in front of the prime minister’s office when they discovered that blood they had been donating for years has been secretly dumped because of fear that their blood was “contaminated.” In addition, Israel’s Ethiopian “citizens” face widespread discrimination in housing, employment, and education. The high dropout rate that plagues the Ethiopian community adds to the dismal future that awaits those who are considered the original followers of Moses. Many readers of the Bible may be aware that the Ethiopian Jews tie their lineage directly back to the kingdom of David and Solomon, the greatest kings in the pantheon of “Hebrew monarchs.” Solomon and his Ethiopian wife, the Queen of Sheba, produced a son, Menelik I, the founder of the Solomonic dynasty in Ethiopia in 950 BC. The Queen of Sheba was one of the most powerful women in the world and she along with her husband, King Solomon, constituted one of the most powerful Black couples in the world. The Ethiopian dynasty is renowned as being the longest continuing monarchy in world history, ending with the rulership of Emperor Haile Selassie in 1974. Emperor Selassie was so revered that a whole new religious belief was born called Rastafarianism. The great Bob Marley and the Rastafarians viewed Selassie as the reincarnation of God. Notwithstanding their long association with Judaism, the Black Jews have never been accepted as “real Jews” by many of the members of the white Jewish establishment. Ethiopians can trace their history back to David and Solomon; Ashkenazi Jews cannot. They can only trace their history back to the Khazars of Turkey and Eastern Europe. Is this one reason why the Israeli government has few reservations about discriminating against the Ethiopians? It is interesting that the legitimacy of the Ethiopian Jews is called into question when they have a stronger claim to the legacy and teachings of Moses than do the Ashkenazi Jews who control Israel today. As you may know, there is a new school of Jewish and Gentile historians who now claim, with an abundance of evidence, that the white Israeli Jews are actually an invented people. Shlomo Sand goes even further as he identifies the Zionist historians, politicians, and even educators who have deliberately fabricated Jewish history to create a people who never existed. In other words, many of the Zionist historians invented out of whole cloth a mythological history of the ancient Jews and presented that mythology to the public as a true history of the Jewish people. Further, Sand points out that the present rulers of Israel are not genetically or biologically connected to the ancient Hebrew Israelites. Thus, one can reasonably conclude that Black people have a greater claim to Israel than a group of foreign interlopers who migrated to the biblical land of Canaan from the Caucasus Mountains of Europe. This carries even greater historical weight when we discover that the ancient inhabitants of Canaan, the original Hebrew Israelites, were Black people. Therefore, in order to complete the colonization of Palestine the Zionist had to demonize the original inhabitants of the land and heighten their own sense of importance and justify their actions by making themselves the “people of God”. What riles the ire of many of the Black Americans you target in your article is that they see the history of apartheid that took place in South Africa and in America being repeated in Israel—and their conscience will not permit them to remain silent. Therefore, when we who desire justice see strong Sisters like Toni Morrison and Alice Walker and other courageous human rights advocates stand up for the downtrodden and dispossessed, it is our duty to stand with them. The Jewish nation’s maltreatment of the Ethiopians and the Palestinians is not inconsistent with the mistreatment Black people in Africa and the Western World have received at the hands of Jews, who served as architects of the most vicious form of slavery the world has ever seen. Your own acclaimed rabbis and world-renowned historians—such as Dr. Jacob Rader Marcus, Dr. Marc Lee Raphael, Dr. Bertram W. Korn, Dr. Abraham Karp, Dr. Herbert I. Bloom, Dr. Arnold Wiznitzer, Dr. Cecil Roth, Isaac S. Emmanuel, and Leo Turitz—are thoroughly documented as testifying to the validity of this claim in The Secret Relationship Between Blacks and Jews, Volumes 1 and 2, Jews Selling Blacks, Jews and Judaism in African History, and a myriad collection of other documents that verify this historical fact. So if Black leaders in America voice our anger and dismay at the inhuman treatment the Palestinians and the Ethiopians suffer in Israel and the Occupied Territories, it is because we feel their pain.